On the morning of September 29th,SK Telecom (CEO Jeong Ho Park) held an official opening ceremony of ‘T.um,’ a state-of-the-art ICT experience center, located in the lobby of its Uljiro headquarters. 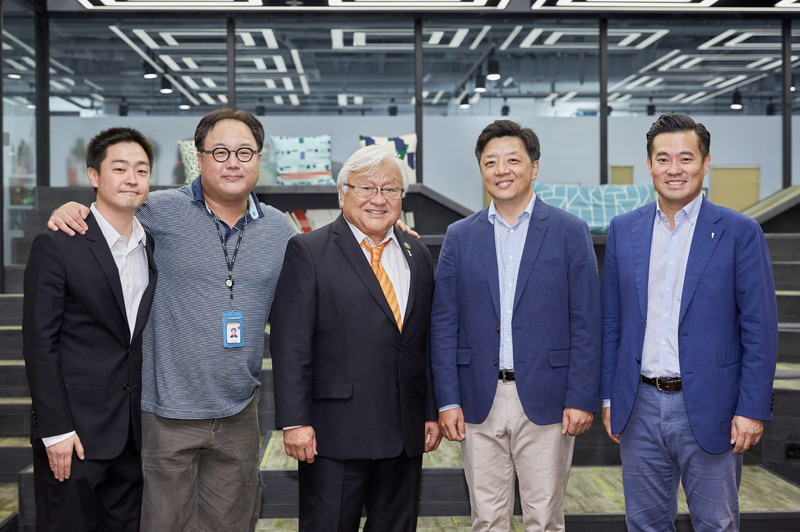 The ceremony was attended by Young Min Yoo, minister of the Ministry of Science and ICT, Jung Ho Park, CEO of SK Telecom, Yong Wook Che, President of Looxid Labs, SK Telecom’s excellent cooperating venture, and Sang Gon Lee, college student CEO of Unreal Park. In addition, 100 adolescents and college students, and other future ICT leaders attended the event. Jeong Moon Lee, an artist who is known for his work, “Various Sides of Life in the Year 2000”, and for foreseeing the emergence of smartphone, IPTV, telemedicine, etc, was present at the venue as well. The ceremony was held in a panel session format. Participants sent questions about ICT via text, which would be printed by a “Message Cloud”, a cloud-shaped structure installed on the ceiling. Minister Young Min Yoo, CEO Jung Ho Park and etc., answered questions and also spent time communicating with participants. After the panel talk, participants commemorated the opening of “T.um” with the ceremony of “ICT Seed Planting.” The word ‘T.um’ is a combination of ‘T’ (technology and telecommunication), ‘um’ (museum), and ‘sprouting’(um). 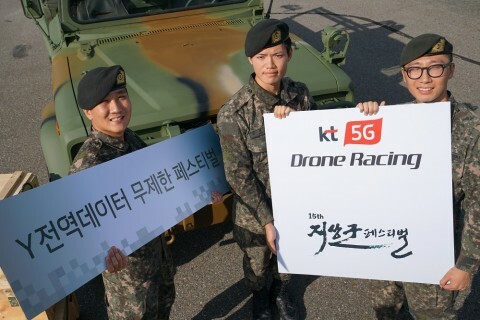 “New ICT technology will sprout the future is the guiding philosophy of SK Telecom. After the ceremony, ‘T.um’ tours were provided. With the guidance of the T.um docents, participants had the opportunity to explore the ICT’s present and the future.